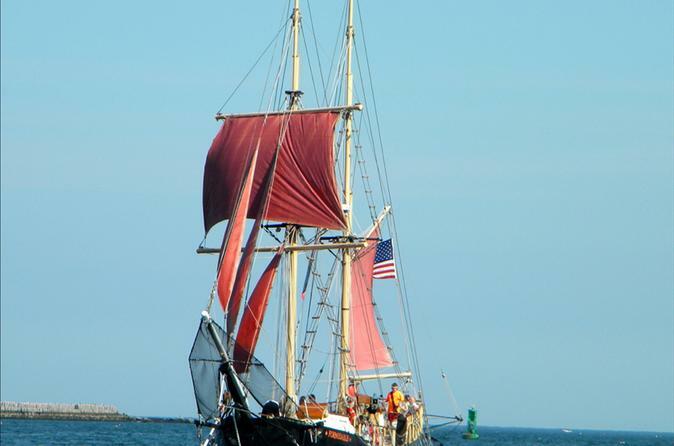 Hop on board Boston’s very own Tall Ship/Pirate Ship, The Formidable! No matter what the occasion is, taking The Formidable out on the harbor will enhance your experience ten fold. See the city in a new and exciting way that is great for locals and visitors alike.This cruise leaves sharply each night at 6:30pm form 60 Rowes Wharf. We are located behind the Boston Harbor Hotel at Gate C. Boarding time starts at 6pm and the tour lasts 2 hours. Customers can bring along their own food and drinks on the cruise. We would also like to remind our customers to bring along a jacket or sweater. Activity takes place rain or shine.